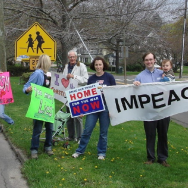 Rescued from the Memory Hole is a photo of some ungoodthinkers in CT, requesting impeachment of Our Glorious Leader. Their current whereabouts are a mystery. They remain at large – for NOW – but when the Leader Of Thr Free World declares a state of national emergency, the years of patient monitoring will bear a terrible harvest to these thoughtcriminals. Bush is truly the O’Brien of the 21st Century. 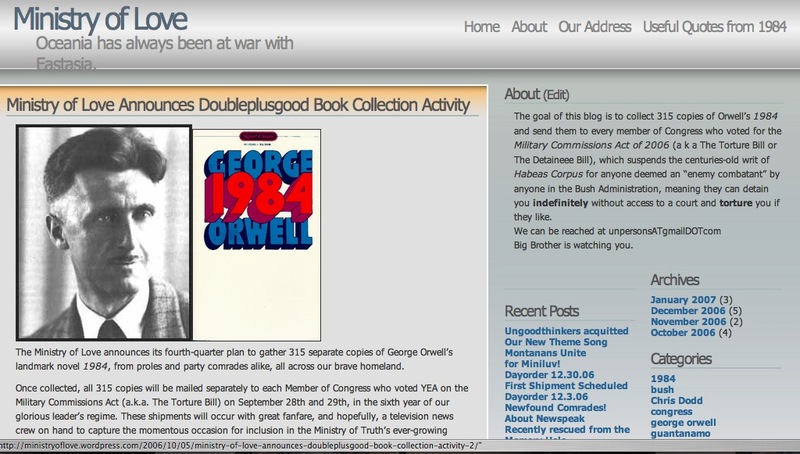 The MCA has indeed finally completed the grand Process foretold by the great prophet Orwell!